Hello and welcome to Tresses Thursday, where I will share hair styles and tips! My, my, my, how the time flies when you read! I am almost finished The Bone Collector by Jeffery Deaver. Currently I have read 75% of the book, stopping at the beginning of part IV. I am extremely eager to see how this book ends. Since I have watched the movie I kind of know where it’s going, but only recently read pages have sort of foreshadowed what is coming/to happen. 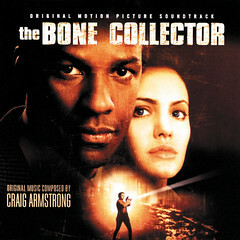 The diction in The Bone Collector, and probably all in the Lincoln Rhyme Series, is very detailed and riveting. As you read your mind races as you become just as appetent as the characters you are reading about to get to the bottom of things. Hello lovelies and welcome to Weed Wednesday! Did you know that cats sweat through their paws? When they are too hot or anxious sweat comes out of glands on their paw pads. Isn’t that cool? Here are some more cool facts about cats.